The Screening Test pursuant to Notification No.34/2016 for filling up of 29 posts of Asst. Social Welfare Officer/Asst. B.C. Welfare Officer/Asst. Tribal Welfare Officer was held on 25.06.2017. A total of 18143 candidates were appeared for the Screening Test against 38897 candidates applied. 1450 candidates are shortlisted for Mains in the ratio of 1:50 and hosted on Commission’s website psc.ap.gov.in. The main examinations (Computer based) will be held on 22.09.2017 and 23.09.2017, as scheduled. 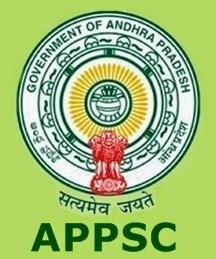 The Question Papers along with answer keys and view response sheets would be displayed on the website of APPSC (www.psc.ap.gov.in) on 08.08.2017. The candidates may file their objections, if any, on the question paper/answer key. The objections would be received only in writing up to 7 days from the date of publication of key i.e., on or before 16.08.2017. Objections not supported by evidence would not be considered. The format for filing objections is available on the website of the Commission. The APPSC will soon announce the APPSC Group 3 Mains Cutoff marks/qualifying marks on its official website. Candidates can keep checking the official portal, psc.ap.gov.in on regular basis to check the cutoff marks. Candidates who qualifies the examination with required cutoff marks are said to be qualified in the exam. The APPSC will publish the cutoff marks and results at a time. Approximately APPSC might take 3-4 weeks after the exam completion. Candidates can regularly refresh the APPSC Official portal for updates regarding results, cutoff marks, interview schedule and other updates. Response Sheets for Notification No. 29/2016, Panchayat Secretary (Grade IV) are available in the “View Response Sheet” tab in the Commission’s Website. Notification No.29/2016 Group-III Services Main Examination held from 6/8/2017 to 7/8/2017 Publication of key for GS & MA (Paper-I) & Paper-II. ATTENTION: Candidates for Group-III Main Examination – Notf. No. 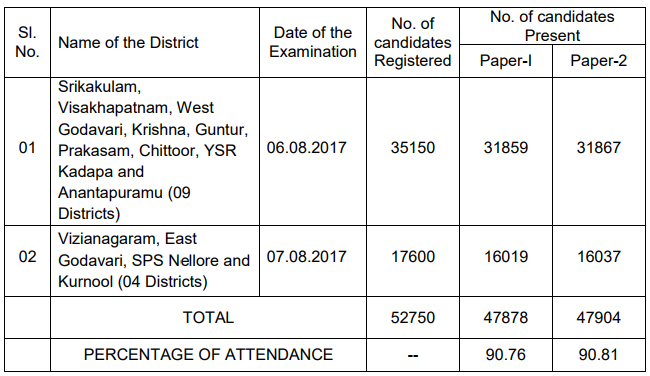 29/2016 and Web Note Dt: 07/08/2017 – Its inform that though response sheet have sent to the candidates on 08/08/2017 the Papers were not displayed on 08/08/2017 the same are Hosted and time is given till 29/08/2017 for sending Objections because candidates need to compare keys with Question Papers. Search the APPSC Group 3 Mains Answer Key download link in organization website. Check the information in APPSC Group 3 Main key 2017. Save or download the hall ticket and take a printout. I got 100 marks. I have any chance. I’m from vizag bc d plz reply me. What is the cutoff marks for bc A women.